As the Shadowline Films team welcomes a new year, we can’t help but be excited and humbled by the success of It’s a Girl and response of the international community to this film. When we released It’s a Girl in September of 2012, our hope and desire was to educate and mobilize a movement to end gendercide in India and China. Your incredible support for the film and advocacy for those who share their stories have far exceeded our highest expectations, and we want to thank you for lending your voice to the growing movement demanding dignity and equality for the women of India and China. In the few short months since It’s a Girl hit the world stage, over 400,000 people have joined the cause, with thousands more adding to that number every week! Nearly 1 million actions have been taken, ranging from signing petitions to donating to our partners working to combat gendercide in India and China on the frontlines. Our community on facebook and twitter has exploded, and you have brought the film to over 130 locations around the world so far, with another 100 possible screenings in development. It’s a Girl has screened before high-level government officials and world leaders, including the British and European Parliaments. It has been a valuable tool for reputable universities and respected NGO’s around the world to engage everyone from students to influencers and leaders in the battle to end gendercide. 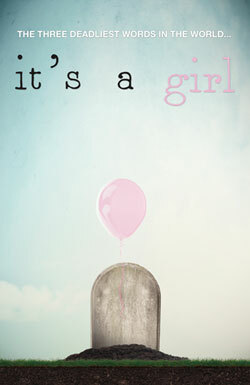 It’s a Girl has been acclaimed worldwide in articles, reviews and on radio and TV, including The Independent, Emirates Women Magazine, The Current on CBC Canada, NPR, and The New Internationalist to name a few. It has been featured and recognized at leading Human Rights Film Festivals like Amnesty International’s Reel Awareness Film Festival and the “this human world” human rights film festival in Vienna. As director I was invited to give a TED talk in Mumbai, India, where I engaged 1000 influencers and leaders from the region about gendercide and was able to challenge them to lead the way to change. But above all, we are most proud of the many of you who have responded to the call to action and become culture changers and activists in your own spheres of influence as a result of seeing It’s a Girl. Besides the ongoing dedication of organizations like Women’s Rights Without Frontiers and Invisible Girl Project, some people who have stepped up and taken action deserve special mention. 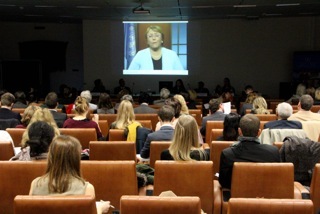 People like former UN diplomat Michael Platzer and his team, who, after seeing It’s a Girl, organized a one-day symposium at the UN in Vienna on fighting femicide (gendercide), where ambassadors, social scientists, NGO representatives, statisticians, lawyers and feminist activists had the opportunity to speak about gendercide, explain its meaning and causes, and present examples of best practice in fighting gendercide. The symposium culminated with the release of the Vienna Declaration on Femicide, a document urging UN member states, UN organizations and civil society to join forces and take responsibility to put an end to gendercide. The declaration was signed by the participants of the symposium as well as by Austria, Slovenia, the Philippines and Norway and plans are underway to bring it to the UN Commission on the Status of Women this March! 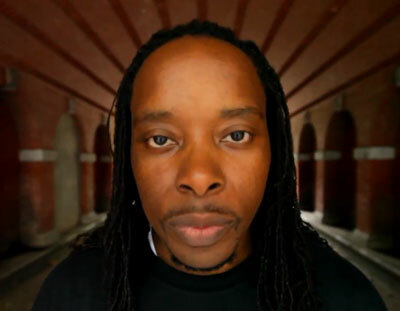 And people like Omékongo Dibinga – a rapper, trilingual poet, CNN contributor, motivational speaker, TV Talk Show Host and the Director of UPstander International who, inspired by the It’s a Girl trailer, decided to lend his voice to the cause by writing and recording a hip-hop song. 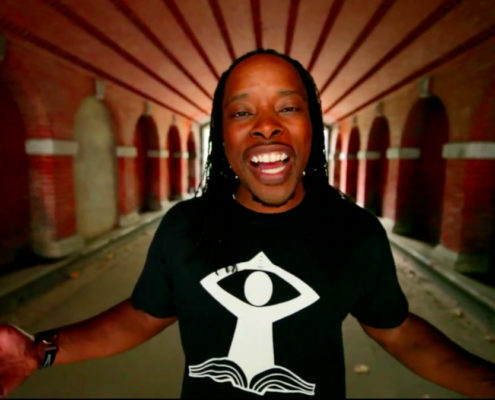 Omékongo captured so well the inner conflict so many of us experience when learning about gendercide, that we decided to produce a music video of his song. 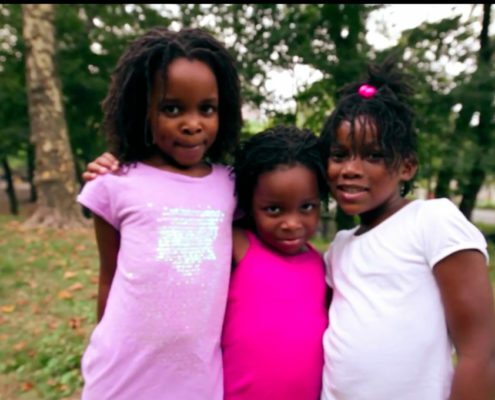 We are so excited to be the first to share with you the It’s a Girl music video! Please take a minute right now to watch it and share with your friends. Deesh, Michael, Omékongo and all of you who have joined them in the fight to end gendercide are the reason we made It’s a Girl. You have taken this film and run with it, and together, we are putting gendercide front and center on the world stage of human rights concerns. As we embark on another year of fighting for the end of gendercide, we wanted to say thank you! Thank you on behalf of the millions of women in India and China who need our voice. Thank you on behalf of millions of girls, yet to be born, who will draw their first breath, and go on to fulfill their destiny because of you. We look forward to 2013 being a year that history will look back upon as a turning point in the battle to restore value and equality to the women of India and China. 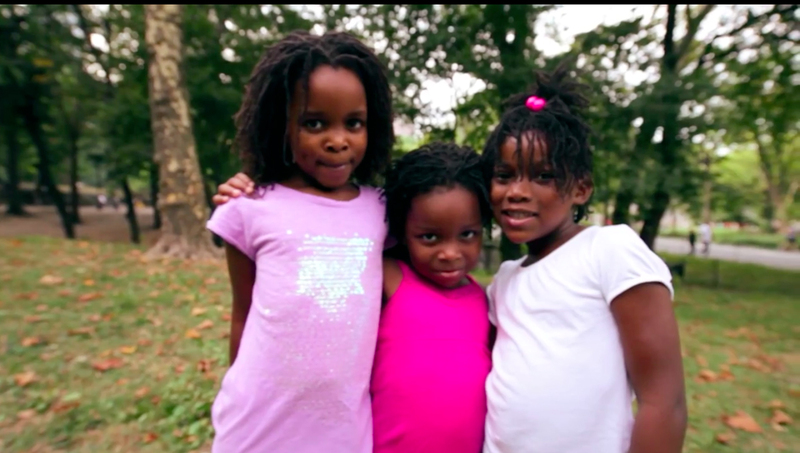 We are so excited to be the first to share with you the It’s a Girl music video! 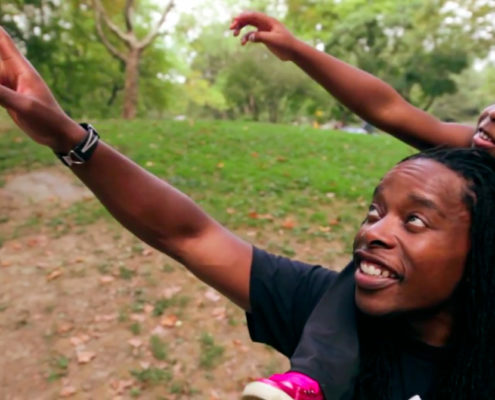 After seeing just the film trailer, Omékongo Dibinga was inspired to lend his voice to help end gendercide. 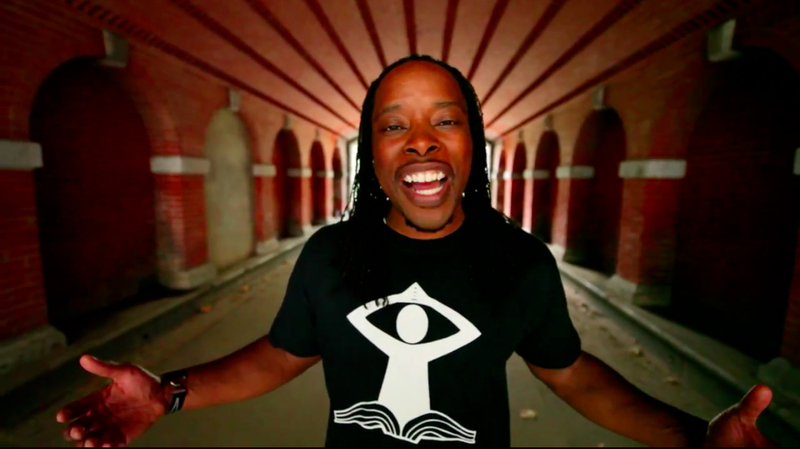 Omekongo – a rapper, trilingual poet, CNN contributor, motivational speaker and the Director of UPstander International – put pen to paper and wrote this amazing hip-hop song. 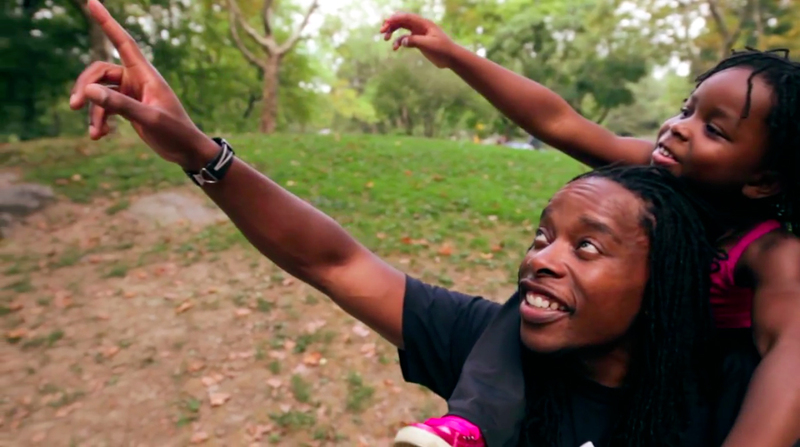 “I wrote this song because hip-hop is a global force. Yet too many hip-hop artists do not use their powerful skills and influence to speak on issues like these. I want to use my talent to make a positive change in this world.” – Omékongo. The music video is available on YouTube, and the song is available on iTunes. A press release is also available. Groping and sexual harassment of women is often referred to as “eve-teasing” and is attributed to the natural response of men to the behavior of women.